from bare-face to full, and share beauty tips, tricks and techniques! Don't wait up and mark you calendar! 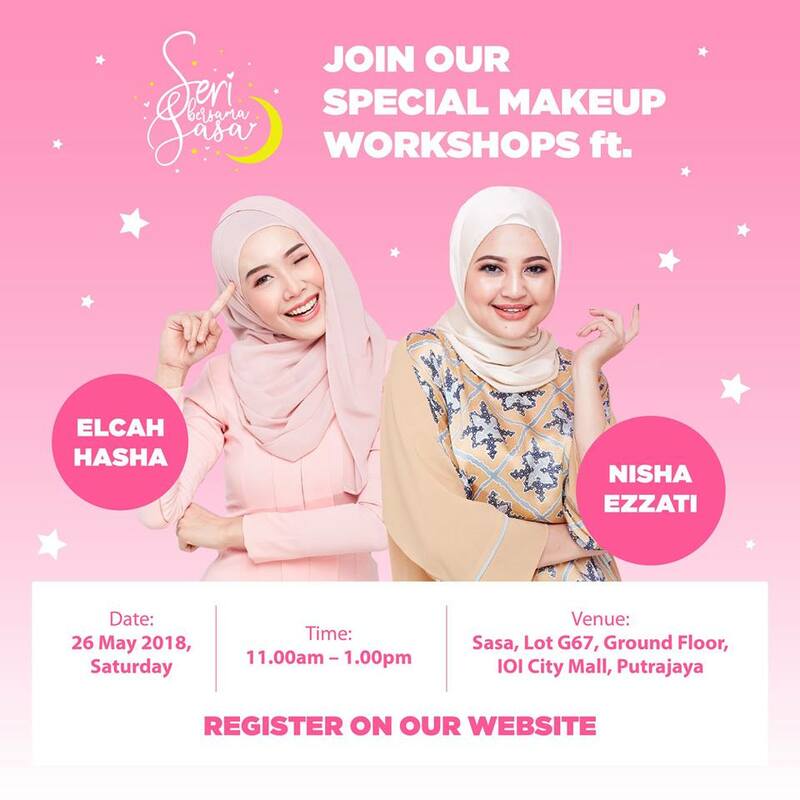 In the first slot, it will be lead by Nisha Ezzati and Elcah Hasha. Their techniques of makeup will be different and each of them will be representing different product brands which are Elcah Hasha will be representing Wet n Wild while Nisha Ezzati will be representing Pupa Milano. In the second slot, it will be lead by Adlina Suhaimi and Elcah Hasha. 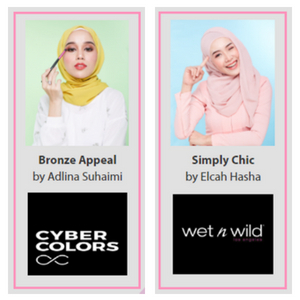 Their techniques of makeup is different and each of them will be representing different product brands which are Elcah Hasha will be representing Wet n Wild while Adlina Suhaimi will be representing Cyber Colors. 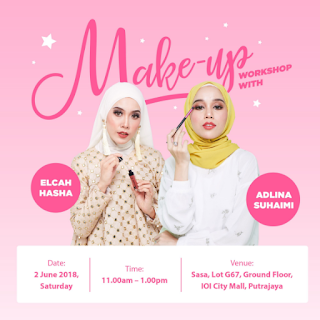 For those who want to learn on proper makeup, can come and join this workshop. Register first at Sasa website.